Where would I find the material data sheet for a Canon iRC2880i photocopier toner? Cartridge Save can help make your money go further just by increasingly being very affordable with regards the expense of Canon IRC2880i toner cartridges. We take great pride in giving you Canon toners that are cheap to buy. Still have worries about Cartridge Save? Cartridge Save have free delivery so that our customers can get an even bigger bargain on Canon IRC-2880i toner. And if you desired more reason to buy Canon IRC2880i toner at Cartridge Save then you should also keep in mind the no quibble returns policy. Cartridge Save will happily give you a full reimbursement in the really improbable situation that a Canon IRC2880i toner doesn't perform as intended, so why would you accept something less? 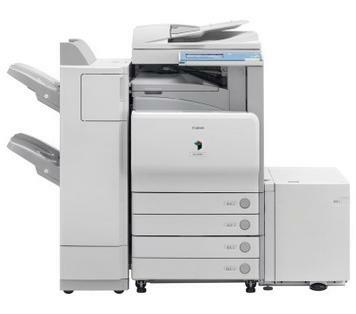 A much-improved version of its predecessor, the Canon IRC-2880i increases productivity in the office while maintaining low running costs. It has been upgraded with larger memory to make it speedier. Unfortunately, the printer is still slow when compared to many multifunction printers. The Canon IRC-2880i is a heavyweight at 166 kg but is relatively compact, measuring 565mm wide, 791mm tall, and 722mm deep. For speed, Canon integrated a 1.5GB RAM that runs on a custom Canon 533MHz processor. The main interface is a USB 2.0 connection, but it also supports Ethernet interface when required in a network. The IRC-2880i printer uses ACS (automatic colour sensing), which means colour ink is only consumed when needed. The Canon IRC 2880i is compact and combines essential office features like a copier, printer, scanner, and fax machine in one. It has professional finishing options, making it perfect for creative offices. As colour laser devices go, the Canon IRC2880i copier uses very reasonably priced toner cartridges to limit the cost of fast colour output. Those who are concerned about security can enjoy the sophisticated and advanced data encryption features. When used in a network, the Canon IRC-2880i employs the IW Management Console so it can easily be managed by users. The speed of the Canon IRC-2880i is not considered a wow factor at only 28 ppm. The fax feature is not impressive in terms of overall performance and reliability, so users are better off with a separate fax machine.